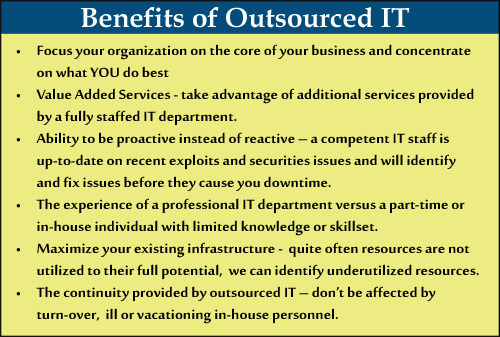 Managed IT Services | ITSS - IT Service Station, LLC. IT Service Station is a professional IT consulting firm focused on providing responsive and competent solutions to our clients. Customer satisfaction is our highest priority and we strive to meet the needs and expectations of all our clients. Our staff is comprised of experienced personnel with the knowledge and expertise to tackle any challenge. We offer complete support from end-user assistance to enterprise infrastructure. We understand that smooth operation of your hardware and software systems are critical to your business. We have therefore built our business around a philosophy of providing resp onsive, knowledgeable, turnkey professional IT services. You can rest assured that when you put your data and infrastructure in our hands it will be properly managed and maintained. Responding to our clients issues, both planned and unplanned in a timely manner is an integral component to our philosophy of providing professional support services. In order to provide the quickest possible response to your issues we provide both on-site as well as off-site support capabilities. Our phones are answered twenty four hours a day by our staff and not a third-party answering service. As an integral part of our overall support services, we provide pro-active monitoring of your systems to identify issues before they become problems, and provide you with options to keep your IT systems operating at peak efficiency. IT Service Station has the ability to manage all aspects of your businesses information technology. Starting with our initial consultation, we will evaluate and completely document your existing environment. Once completed, we will be able to recommend and deploy tailored IT solutions to provide you the best IT management services specifically for your specific business. Whether you’re a business owner looking to outsource your company’s server and desktop support, or an IT professional looking for assistance during a crisis or migration, we have the solutions to assist you.